(Periander) had sent a herald to Thrasybulus and inquired in what way he would best and most safely govern his city. Thrasybulus led the man who had come from Periander outside the town, and entered into a sown field. As he walked through the wheat, continually asking why the messenger had come to him from Cypselus, he kept cutting off all the tallest ears of wheat which he could see, and throwing them away, until he had destroyed the best and richest part of the crop. Then, after passing through the place and speaking no word of counsel, he sent the herald away. When the herald returned to Cypselus, Periander desired to hear what counsel he brought, but the man said that Thrasybulus had given him none. The herald added that it was a strange man to whom he had been sent, a madman and a destroyer of his own possessions, telling Periander what he had seen Thrasybulus do. Periander, however, understood what had been done, and perceived that Thrasybulus had counselled him to slay those of his townsmen who were outstanding in influence or ability; with that he began to deal with his citizens in an evil manner. 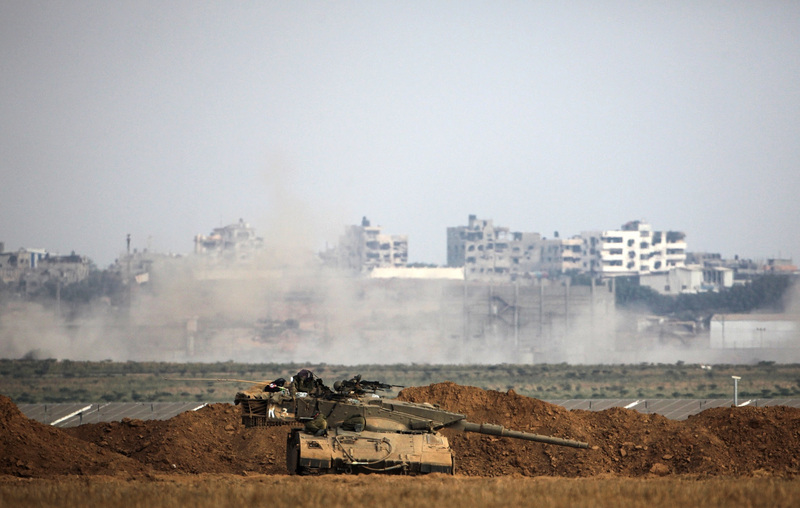 Following the quick collapse of the ceasefire in Gaza, the Israeli prime minister, Binyamin Netanyahu, told the White House not to force a truce with Palestinian militants. In a phone call with US ambassador to Israel Dan Shapiro, Netanyahu vented his anger, according to people familiar with the call. Netanyahu told Shapiro the Obama administration was “not to ever second-guess me again” and that Washington should trust his judgment on how to deal with Hamas, according to the people. 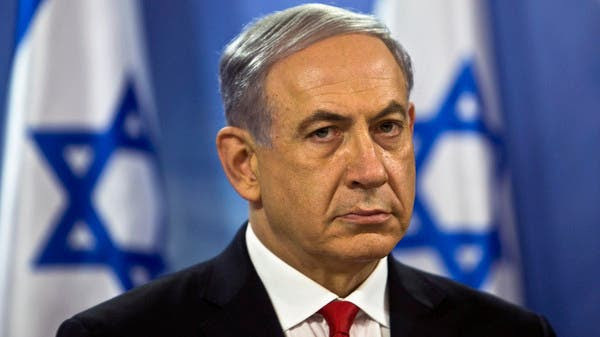 Netanyahu added that he now “expected” the US and other countries to fully support Israel’s offensive in Gaza, according to those familiar with the call. They spoke on condition of anonymity because they were not authorised to discuss the matter by name. The difference of opinion between Machiavelli and Guicciardini over the utility of force echoes down the ages. Every age presents some variation of it. But the old argument is displayed with a ferocious intensity in the ongoing controversy over Israel’s approach to Hamas and to the Palestinians. In dealing with its neighbors, there is no contemporary state more partial to extraordinary and violent methods than Israel. 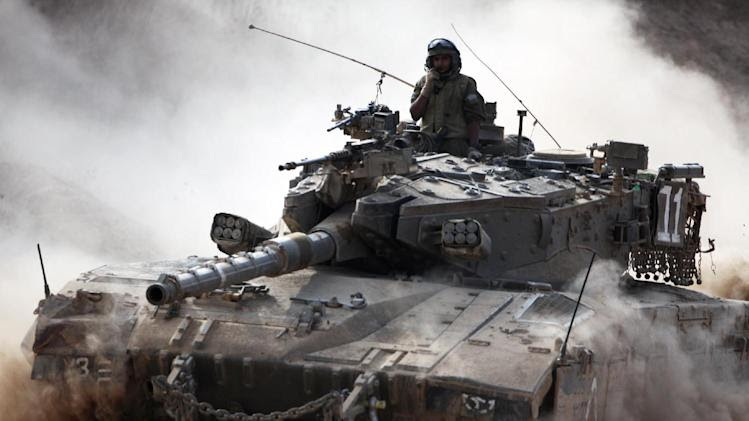 Israel has fought four major wars in the last eight years, including the Lebanon War of 2006 against Hezbollah and three devastating wars against Hamas in Gaza from late 2008 to the present (not counting several smaller operations from 2006 to 2008). It has assassinated Iranian nuclear scientists and bombed sites in Syria, Lebanon, and Sudan over the same time period, just as it has continually agitated for U.S. military strikes against Iran’s nuclear infrastructure. In Israel, hawks have found a welcome abode; doves are an endangered species. 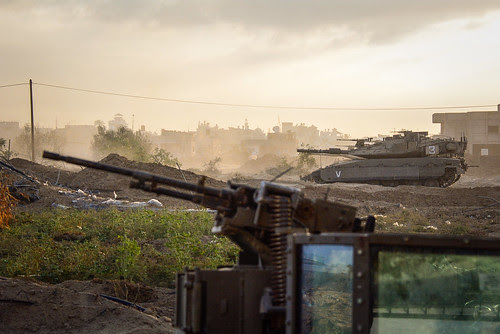 The regularity of Israel’s perceived need to use force is illustrated by the notorious expression, “mowing the lawn,” that one of its military officers used to describe strategy toward Gaza. It is reminiscent of the advice that Thrasybulus gave Periander of Corinth, recounted in Herodotus. Walking through a field, Thrasybulus broke off the tallest ears of grain by way of showing Periander’s envoy the best way to rule violently. The envoy couldn’t figure out his meaning, but Periander, the prototype of the ancient tyrant, understood immediately on hearing the envoy’s report. The analogy showed that violence could not be a one-time affair. New stalks would grow up. It would remain necessary to keep lopping off the top ones -- i.e. mowing the lawn. Machiavelli offers a view different from Thrasybulus. 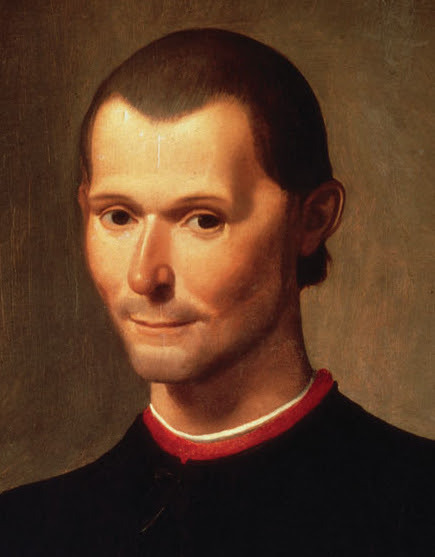 It is unfortunately all too true that Machiavelli did have a penchant for extraordinary and violent methods, as Guicciardini alleged, but his thought also reflected an appreciation of "the economy of violence." “The indiscriminate exercise of force and the constant revival of fear,” as Sheldon Wolin observed of Machiavelli’s teaching, “could provoke the greatest of all dangers for any government, the kind of widespread apprehension and hatred which drove men to desperation.” This sense of the limits of force, even among one of its greatest partisans, was given expression in another of Machiavelli’s famous sayings, in which he advised, “One must be a fox to recognize traps, and a lion to frighten wolves. 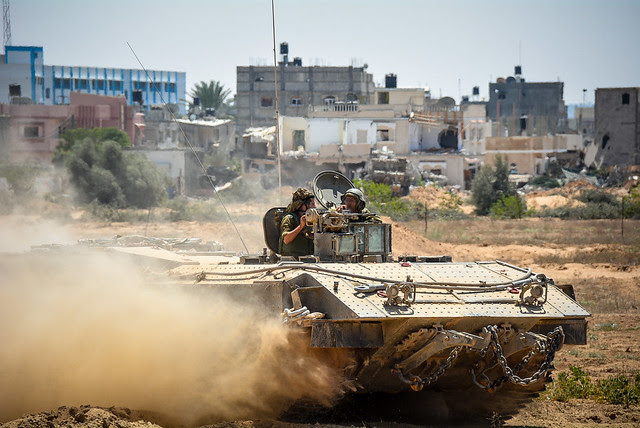 Those that wish to be only lions do not understand this.” Israel’s strategy toward Hamas -- seeking peace by periodically pummeling the Palestinians, shedding the blood of numerous innocents -- violates Machiavelli’s injunction. It generates hatred as well as fear. It produces desperate men. The counterproductive and useless character of Israel’s uses of force has always seemed to me the best argument against them, the one most likely to gain some kind of purchase in officialdom. But the sad state of affairs is that the Israelis think they are succeeding. They also believe they are using force in a limited and proportionate way, and no exhibition of “telegenically dead Palestinians” will convince them otherwise. Even more important, by way of criticism of Israeli strategy, is the point made by Guicciardini. The idea that Israelis might improve their relationship with the Palestinians by treating them with humanity, kindness and rewards seems alien and even risible to Israeli opinion. The Palestinians, the Israelis think, hate them and will hate them for eternity. It is worse than useless to take an interest in their well-being, because doing so has the fatal liability of demonstrating weakness. Much as this viewpoint must be regarded as a profound mistake, it is written all over the conduct of Israel toward Gaza since the withdrawal of soldiers and settlers in 2005. Ensconced in the world’s largest open-air prison, encircled by a stringent blockade, the inmates too often behaved like those locked up in solitary confinement, a dementia attributable in large part to their loss of dignity. Israel’s belief that it can solve the Palestinian problem by ever-larger doses of the old medicine appears delusional -- but there it is. David C. Hendrickson is professor of political science at Colorado College. He is the author of Union, Nation, or Empire: The American Debate over International Relations, 1789-1941. 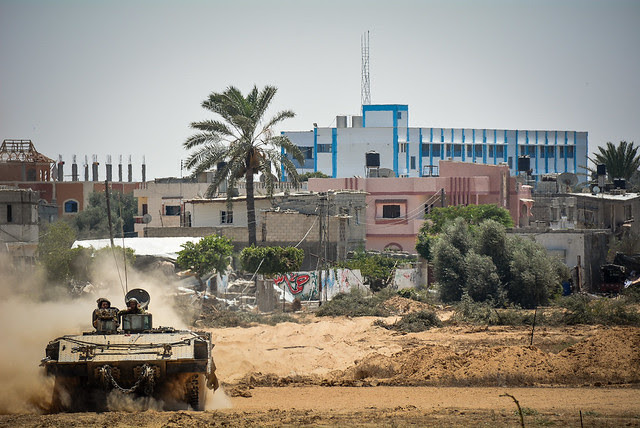 Nora Barrows-Friedman: A few days ago, when we last spoke, you warned that things were going to get much worse in Gaza, especially in terms of health the ability of hospitals to function. And just yesterday, on Friday, nine members of your family were killed by Israeli bombs in Khan Younis, including five children. We are so sorry to hear this news. Tell us a little about what happened on Friday. Dr. Mona El-Farra: It was five o’clock in the morning, just three hours before the intended announcement of the humanitarian ceasefire. The house was hit with a rocket, and the whole neighborhood started leaving, running in the street. Another rocket, or missile, struck the children and the women who were running outside of the house, and I heard the news -- I really felt very bad. I know my family are not different from any other families but it is difficult to know that your cousins and their kids were murdered by the Israelis. I telephoned one of my cousins, to see what’s happening, and he told me the story. He was very devastated and in a state of shock. He said “we are going now to bury the dead.” That’s it, that’s what happened. Then, later, we saw that there was going to be a ceasefire. I went to the Red Crescent to continue, because I couldn’t go to Khan Younis -- it was too dangerous, even though there was an intended ceasefire, I didn’t trust that. I went to the Red Crescent around 8:30, to learn later on that the ceasefire had collapsed and did not function. 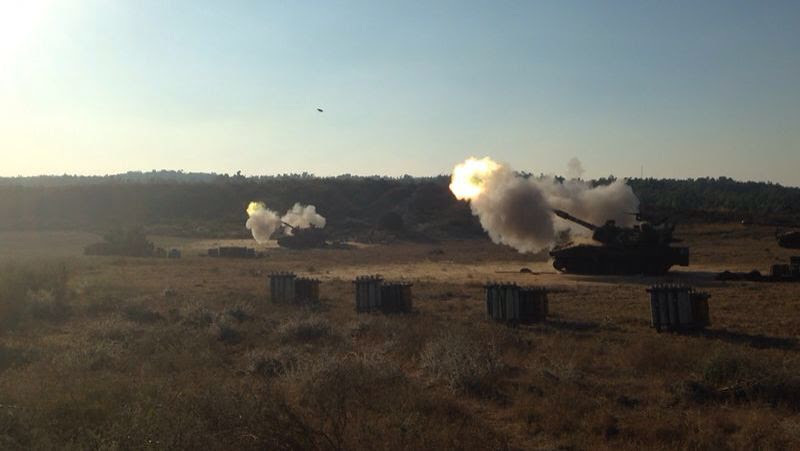 And again, it was very, very bad because the whole preparation -- including my staff, and the people in Gaza were looking for some [time] to go out, to shop, to see friends and relatives, just to feel that there are some hours without shelling. 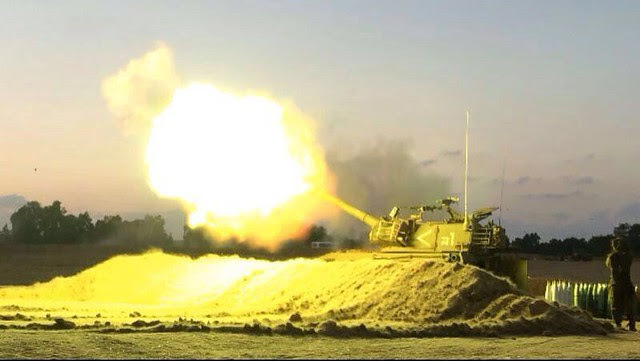 Some of my colleagues told me they didn’t sleep since one o’clock the previous night, they were waiting to learn that there was a ceasefire, because the attack against Gaza on services are non-stop. 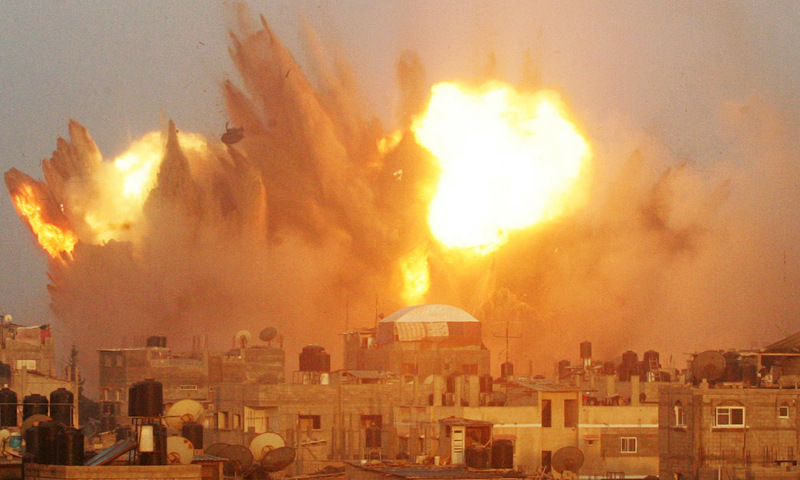 Thousands of explosions hit Gaza cities and towns and refugee camps and it is -- Gaza is very small, crowded, and most of the casualties, most of those killed and injured are civilians, women and children. And we don’t have infrastructure -- I’ve said it before. We don’t have any proper infrastructure. The injured were in the corridors of the hospital, and we didn’t have enough -- and we still don’t have enough medications and supplies for the injured and for the normal operations that are in need. Because the humanitarian situation is disastrous in Gaza with the thousands of displaced families who took refuge in the schools. And the Red Crescent Society, the partner organization of the Middle East Children’s Alliance, we are receiving hundreds of patients, six times the regular load of our work, hundreds of patients who are in need for health, and infectious diseases will follow. It’s happening -- people will start having infections of the skin and all sorts of things. We coordinate with others, but other health organizations on the ground are suffering from a lack of medications and supplies. The burden is heavy, and still is heavy, and I’m thinking about what’s after that, the attacks -- shock. I am thinking of what we are going to do with those who lost their homes, who are injured, who have loved ones killed. I have heard about the unilateral ceasefire. I am not sure about this news but I don’t want to leave my hopes up for a ceasefire, because some times before we have heard of a ceasefire and it did not happen. But even with a unilateral ceasefire, it means there is no political achievement. After all this bloodshed, what we need is a civil movement. We need protection guarantees that this will never, ever happen again. No matter how I describe to you the situation on the ground -- maybe I will not be able to describe it because it is simply disastrous. And I don’t like to keep saying “war crimes,” I don’t like to keep staying inside and all this, I just want one simple word -- humanity. It has failed with greatness in Gaza, while the governments in the world are silent. I appreciate the movements of the people in the streets everywhere -- Europe, United States, every part of the world. But I tell you that the governments have lost their humanity. And still, I believe that we will come out of this, maybe weak, maybe wounded, because it’s a much heavy burden physically and psychologically, but we’ll be able to continue, because we’re not a case of charity for the world. We have our rights as Palestinian people. And one day justice will prevail -- have strong faith in that. I believe in love and peace. I believe that justice will prevail. Peace will prevail. I appeal to the world to hear from Gaza that despite the pain, Gaza’s people showed great, real steadfastness and solidarity with each other. Steadfastness and resilience. And despite the minimum resources, all of us will help each other, try to comfort each other despite the lack of resources, the poverty and the dire situation. Dr. El-Farra works at the Palestine Red Crescent Society and is the director of Gaza projects at the Middle East Children's Alliance. 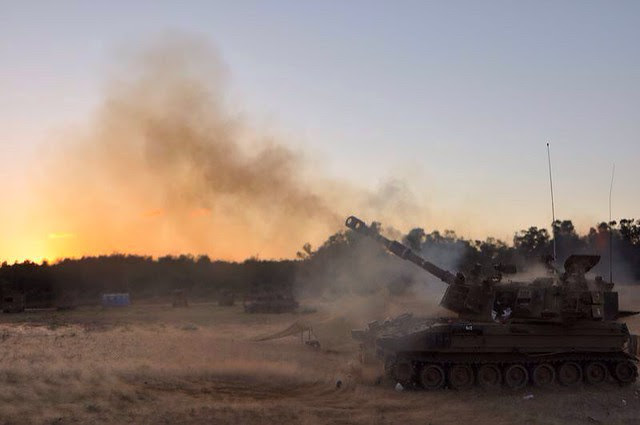 "Smoke and fire rise from an Israeli missile strike on Rafah in the southern Gaza strip"
"A ball of fire is seen following an early morning Israeli air strike in Rafah in the southern Gaza strip"
"Rafah. Sorry to publish such photo. 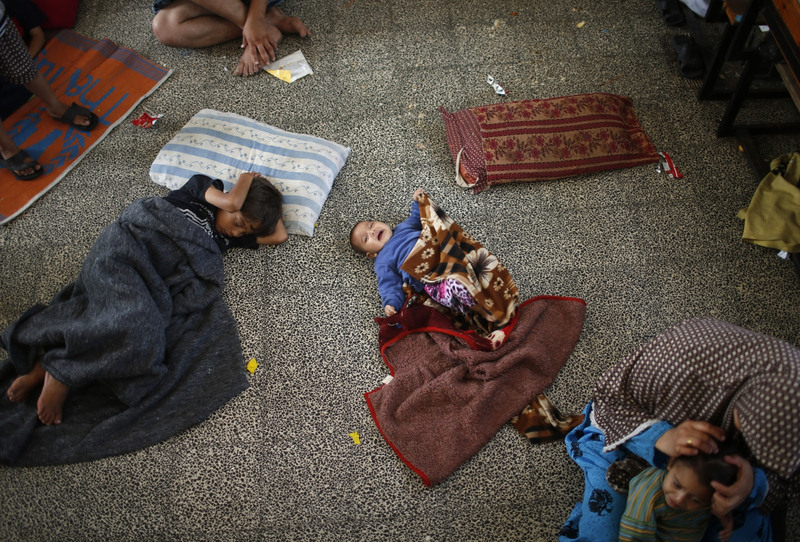 This family were asleep, they will remain sleeping forever"
"Rafah. Mayar and Fares, killed by Israeli tankshell for no reason"
Steve, the third and fourth shots you single out were posted by a journalist who's been covering the region for many years. Like the photos being posted by doctors, these evidences have the quality of notes floated in a bottle by a shipwreck survivor. The wreck was humanity as known. "I just want one simple word -- humanity. It has failed with greatness in Gaza, while the governments in the world are silent..". The governments that are silent are able to remain silent because they are the governments of great flocks of of obedient, subdued, satisfied, terminally intimidated, selfie-obsessed sheep. Watching the ethnic cleansing team roar back in for final punch after final punch after final punch, these latest blows constructed as blood revenge for the absence of one soldier -- who was almost certainly killed by Israeli fire in any case -- turns one's stomach. Hearing that Bibi had Kerry's phone tapped, and hearing him dictate to everyone, and hearing that he will not (of course) negotiate with anybody, must come as great consolation to the friends of the IDF. There are always the little postmodern ironies, as well, the little random bits that make the bigger picture appear to have been sketched by that cruel and vengeful deity of the Yahvists. Recent history. On the morning after his re-election, what did B O'B choose to do with that nice slice of quality time?? A bit of endorphin-packed stress-relieving pickup hoops with the SS dudes? Admiring Michele's new $521 trainers? To ostentatiously condemn the astonishing racist atrocities -- the bombing of kids selling cookies at a UN school -- and then to go on turning over the $3.1 billion in military aid, not to mention the keys to the storage locker of an arsenal that would make Dr Strangelove go green with envy -- would seem to require an act of elasticity beyond he capability even of the legendary India Rubber Man of circus lore. That, or just another bought politician spouting his lies and polishing them up with bits of user-friendly "common" vocabulary -- "We tortured some folks..."
At least that one could be believed. Yes, Tom, thanks for this --- "The governments that are silent are able to remain silent because they are the governments of great flocks of of obedient, subdued, satisfied, terminally intimidated, selfie-obsessed sheep."